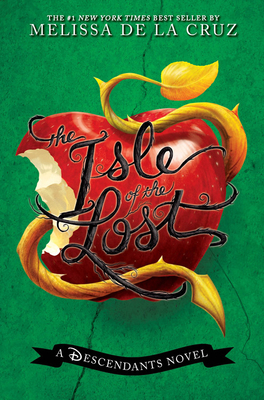 Twenty years ago, all the evil villains were banished from the kingdom of Auradon to the Isle of the Lost--a dark and dreary place protected by a force field that makes it impossible for them to leave. Stripped of their magical powers, the villains now live in total isolation, forgotten by the world. Mal learns from her mother, Maleficent, that the key to true darkness, the Dragon's Eye, is located inside her scepter in the forbidden fortress on the far side of the island. The eye is cursed, and whoever retrieves it will be knocked into a deep sleep for a thousand years. But Mal has a plan to capture it. She'll just need a little help from her "friends." In their quest for the Dragon's Eye, these four kids begin to realize that just because you come from an evil family tree, being good ain't so bad. Melissa de la Cruz (www.melissa-delacruz.com) is the author of many best-selling novels, including all the books in the Blue Bloods series: Blue Bloods, Masquerade, Revelations, The Van Alen Legacy, Keys to the Repository, Misguided Angel, Bloody Valentine, Lost in Time, and Gates of Paradise. She lives in Los Angeles, California with her husband and daughter.